In this article, I will attempt to shed some light on the two questions I hear most often in regard to adolescents: Why is my teen so emotional (e.g., angry, sad, anxious)? What can I do to better support my teen? All of this indicates that the teen brain is biochemically primed to experience more intense emotions. Psychological studies have shown that during adolescence, on average, there is increased conflict and decreased warmth among adolescents and parents, particularly during the early years.6 This can be a period of negotiation of boundaries within the family unit, leading to a need for increased flexibility in the relationships between parents and their teens. Another challenging change is teens reducing reliance on their parents to help them cope with emotions and looking more to friends as sources for support. Whereas children use their parents as references for how to respond in social and emotional situations, adolescents turn to their peers.7 If parents do not understand this is a normal developmental process, it can create conflict. What are the pros and cons of each choice? What would be a good solution? Dedicating the time and resources for your own self-care may be the most important tip in helping your teen navigate their emotions. This traces back to the old wisdom that it’s difficult to take care of others if you’re not taking care of yourself. It also models healthy ways of coping with stress, which teens can learn through observation. If your own emotional state is constantly dysregulated, this certainly affects how you respond to others. So, take the afternoon to yourself, schedule that massage or workout class, or maybe even start your own therapy. 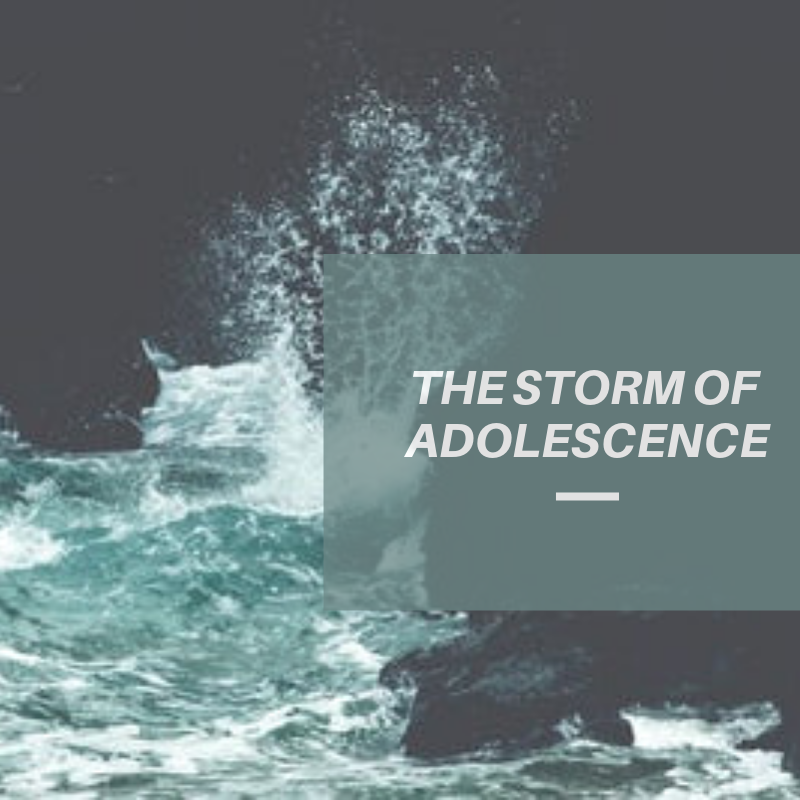 Adolescence can be a tumultuous time for both teens and parents, but remember the vast changes that occur during this relatively brief period of life are shaping independent, free-thinking young adults. If you or your teen need creative solutions for change, counseling can be a source of shelter through the storm. 1. Arnett, J.J. (2006). G. Stanley Hall’s Adolescence: Brilliance and nonsense. History of Psychology, 9(3), 186-197. 2. Steinberg, L. (2011). Demystifying the adolescent brain. Educational Leadership, 68(7), 42-46. 3. Malter-Cohen, M., Tottenham, N., & Casey, B.J. (2013). Translational developmental studies of stress on brain and behavior: Implications for adolescent mental health and illness? Neuroscience, 249(26), 53-62. 4. Hare, T., Tottenham, N., Galvan, A., Voss, H., Glover, G., & Casey, BJ. (2008). Biological substrates of emotional reactivity and regulation in adolescence during an emotional go-nogo task. Biological Psychiatry, 63(10), 927-934. 5. Mariam, A., Maliha, H., Lina, J., Puja, M., Wynand, N., Afsha, R., Ranbir, S., & Sushil, S. (2013). Maturation of the adolescent brain. Neuropsychiatric Disease and Treatment, 9, 449-461. 6. Steinberg, L., Morris, A.S. (2001). Adolescent development. Annual Review of Psychology, 52, 83-110. 7. Steinberg, L., & Silk, J.S. (2002). Parenting adolescents. In M.H. Bornstein, Editor, Handbook of Parenting: Volume 1: Children and Parenting (pp. 103-133). Mahwah, NJ: Lawrence Erlbaum Associates. 8. Sheffield-Morris, A., Silk, J., Steinberg, L., Myers, S., & , L. (2007). The role of the family context in the development of emotion regulation. Social Development 16(2), 361-388. 9. Yap, M., Allen, N., & Ladouceur, C. (2008). Maternal socialization of positive affect: The impact of invalidation on adolescent emotion regulation and depressive symptomatology. Child Development, 79(5), 1415-1431.